Well sports fans... I am officially back in the saddle. To relaunch TBG I thought it would be fitting to do a review on a burger joint that is WAAAAYYYY off the beaten path. 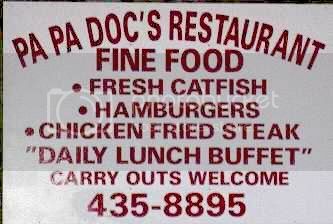 Pa Pa Doc's located in a small town in Bosque County named Meridian fit the bill VERY nicely. I must tell you that during my sabbatical I have continued to eat at many mom and pop burger joints to try and find some good places to review. 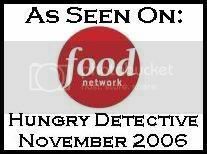 Many of the places I ate at would have gotten a bad bad bad rating from me. Me being the nice type just didn't want to trash a place. Pa Pa Doc's was one that I tried out and it definitely made the grade. When you throw in the warm atmosphere and beautiful scenery in and around Meridian... there just aren't many places better than Pa Pa Doc's to grab a good ol' burger. 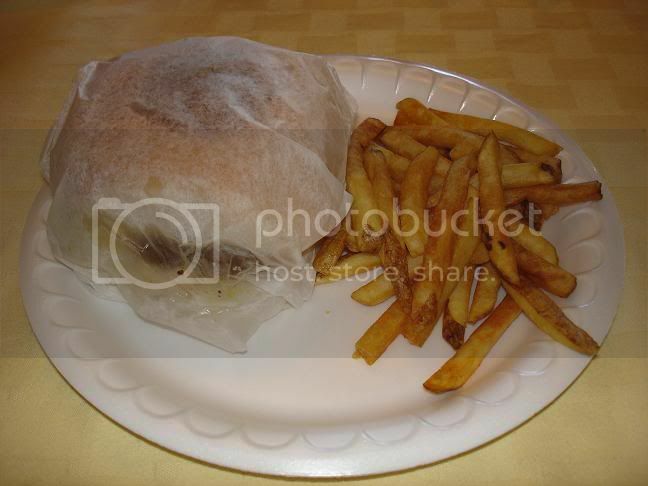 I decided to snap a picture of the burger as it was delivered to me. The white paper is transparent around the meat portion which is always a good sign in my book. That tells me I'm in for an oooozy treat. While the burger wasn't dry by any means - it also wasn't dripping wet either... I'd say it was just right in the oooze category. The Pa Pa Doc's Cheeseburger was not a burger that would make a young heifer burst out in tears... but it was just big enough to fill my belly and still be able to get up and walk away from the table without holding my stomach in pain. Taste wise - it was pretty good - not knock my socks off and nothing really special about it - just good. 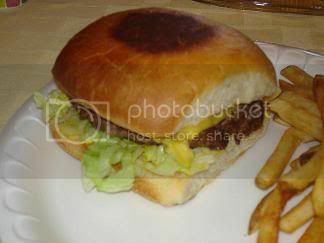 Pa Pa Doc's Cheeseburger is my first ever regular size square shaped burger to consume. I have had the White Castle burgers... but those really just don't even count. I like the square shape... it made for an easy angled bite to get into the burger quickly. It isn't a huge burger by any means but again - just right. I am beginning to think this is the Goldilocks of burgers. Probably a 1 1/2 handed burger. The Pa Pa Doc's Cheeseburger is 2.59 which I think is just the right price for this size burger. Heck - I'd pay 5 bucks for another bun to munch on... did I tell ya how good the buns are??? WOW!!! 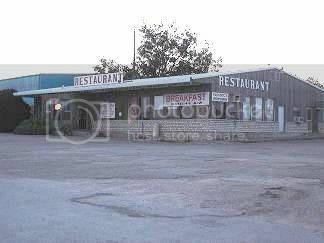 Pa Pa Doc's is exemplifies the Texas small town setting. Not only are the waitstaff polite but the other patrons in the restaurant are also friendly. When you are there - you feel welcome to Pa Pa Doc's as well as you feel welcome to Meridian. I'll write up a little section on Meridian as well. It is a neat little town and a beautiful part of the great state of Texas. In a word... Meridian is peaceful. As you will quickly discover while driving around Meridian - there just ain't that many people that are in a hurry that live in Meridian. Meridian is surrounded by some of the prettiest parts of the state. There are many rolling hills complete with cedar trees galore. The air is clean and the town is just quiet and peaceful. Nestled in the heart of Meridian is the courthouse. Meridian is the county seat of Bosque County. Here is a shot of the courthouse located on the square in Meridian. 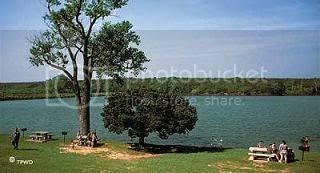 Meridian is also located about 20 miles from Lake Whitney. Home to some of the best bass fishing in Texas. You just can't go wrong with making a visit to Meridian... they have a wonderful burger joint in Pa Pa Doc's, friendly people, beautiful state park, and all of this is surrounded by some of the prettiest hills and trees found in the state of Texas. TBG Highly recommends a visit to Meridian. From Waco, Go North on Highway 6 47 miles to Meridian. When you get to Meridian, take Hwy 22 like you are going into town. Immediately on your left you will see Pa Pa Doc's. Overall very satisfied with my visit to Pa Pa Doc's as well as Meridian in general. Pa Pa Doc's has friendly waitstaff, good service, good mom and pop atmosphere... It has it all and then some. Other Reviews of Pa Pa Doc's: None found. Good to see ya back TBG! As a Texan living in Charleston South Carolina, I love to read your reviews and dream of the day when I can get back on the Texas highway and find that great burger joint out there in the middle of nowhere. I'm from Dallas, so if you ever get that way, look up The White Rock Yacht Club... it's not your mom and dad's yacht club. I'd give it an overall rating of a 7 across the board - maybe a little better for the cheeseburger itself, but it's a great place to kick back and enjoy a great burger and a beer! Came back through Meridian on Highway 6 on our way home from visiting relatives over the holidays. Based on your review, we stoppedy by Pa Pa Doc's. 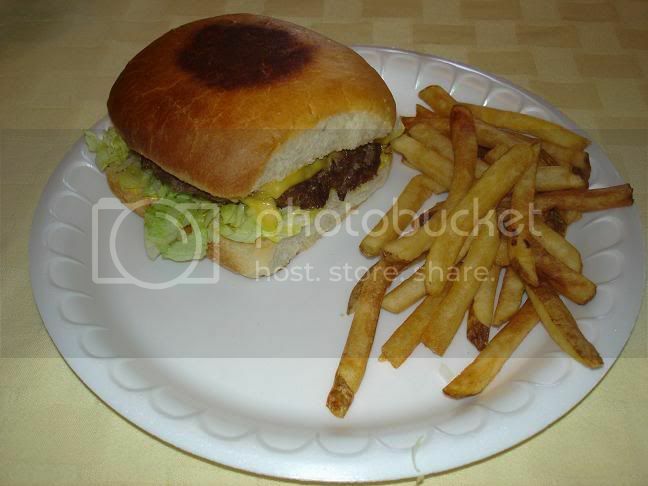 Like you said, it was a good burger at a good price -- with a bun to die for. Thanks for pointing out Pa Pa Doc's to us. If only we could marry Pa Pa Doc's buns with the burgers from Mel's. That is awesome that you stopped in Meridian and had a Pa Pa Doc's burger! I told you those buns are to die for! Man oh man they are awesome!!! If you like the buns - you've gotta come to Austin sometime and try Hill's. They have sweet homemade buns and a great cheeseburger.